The month of May 2017 is Mental Health Month in America. 1 in 5 Americans are affected by a mental health condition in their lifetime and millions more are impacted by mental health issues via family, friends and loved ones. 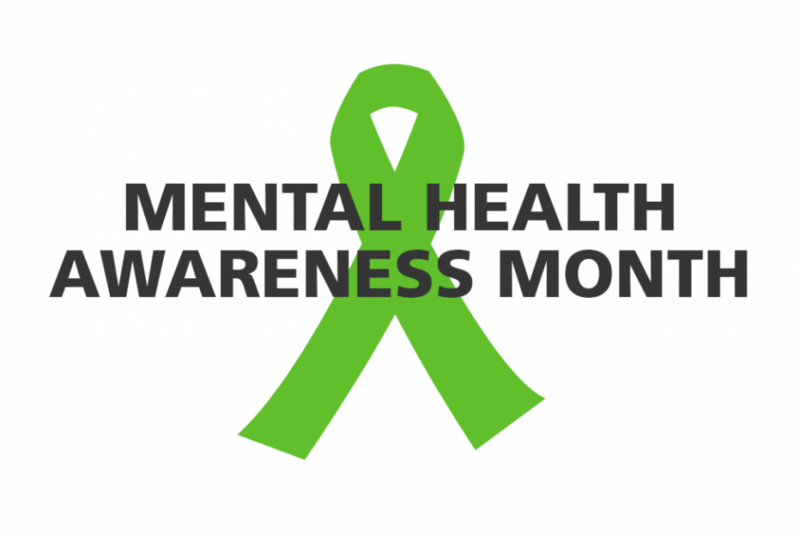 Every May since 1949 in America, an observance of mental health awareness has been spearheaded by the Mental Health America organization in an effort to bring about awareness and break stigmas surrounding mental illness and mental health issues. Throughout the month of May, numerous organizations such as Mental Health America, the National Alliance on Mental Illness (NAMI), the American Psychiatric Association, the American Psychological Association and others will conduct activities, workshops and outreach efforts via the media and local community events in order to reduce many of the negative attitudes, beliefs and misconceptions about mental health issues, strategies for people to achieve better mental health practices and educate the public about mental illness and mental health. Every year Mental Health Awareness Month is given a theme. This year’s theme, as given by Mental Health America, is titled “Risky Business.” This year’s theme surrounds the need to educate and inform people regarding habits and behaviors that may increase the risk of developing or furthering mental illnesses. The theme will also take a look at how certain behaviors, attitudes and habits may in fact be signs or symptoms of mental health issues or mental illness or disease model of addiction. Workshops and events put on by Mental Health America will be conducted with the hope of offering those within the community tools and resources to help individuals and the community at large raise awareness of the risks of those behaviors, attitudes and habits as well as help those in need identify early warning signs in children and available resources. Addiction often goes hand-in-hand with mental health issues or mental illness. Much of those that seek help for addiction often are dually diagnosed or have a co-occurring mental health diagnosis. Sometimes, substance use or substance misuse are an attempt by an individual with mental health issues to self-medicate or self-regulate those mental health issues via substances. It is vitally important that someone in need of help seek out a quality treatment provider that will be able to accurately diagnose and treat both addiction issues and mental health issues. It is imperative that both are treated in conjunction with one another and done so with a comprehensive approach. If you or someone you know is in need of help because of drug and/or alcohol abuse or addiction, please give us a call. Maryland Addiction Recovery Center offers the most comprehensive dual diagnosis addiction treatment in the Mid-Atlantic area. If we aren’t the best fit for you or your loved one, we will take the necessary time to work with you to find a treatment center or provider that better fits your needs. Please give call us at (888) 491-8447 or email our team at info@marylandaddictionrecovery.com. For more information on all of our drug addiction and alcohol addiction services and recovery resources, please visit our web site at www.marylandaddictionrecovery.com.